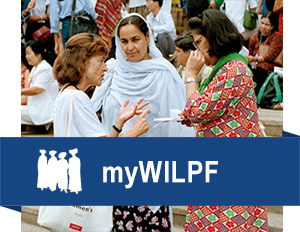 In 2016, WILPF continued to amplify the voices of grassroots women peace activists from the local to the global level and call for concrete action, especially in key gap areas of conflict prevention, disarmament, and financing. 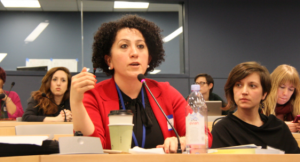 Our Women, Peace and Security team in New York have organised and co-hosted a variety of initiatives focused on feminist mobilising at the local level throughout the year. In September 2016, WILPF delegation of 19 activists attended the 2016 AWID Forum in Brazil to build a common ground for a nonviolent world for all and share our messages about the importance of disarmament and peace for feminist futures. We contributed to six events including a Feminist Playbook for Peace and launched our #MoveTheMoney Toolkit during the forum. This toolkit includes a range of materials – including a motion graphics explainer video available in five languages – intended to boost action on Women, Peace and Security Financing.